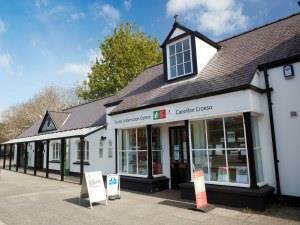 Chepstow Tourist Information Centre01291 623772work Information CentreUNFORTUNATELY OUR PHONE LINE IS CURRENTLY DOWN. PLEASE EMAIL CHEPSTOW.TIC@MONMOUTHSHIRE.GOV.UK IF YOU WOULD LIKE TO GET IN TOUCH. Chepstow TIC provides information on attractions, activities and events in the area as well as offering advice and help on booking accommodation. UNFORTUNATELY OUR PHONE LINE IS CURRENTLY DOWN. PLEASE EMAIL CHEPSTOW.TIC@MONMOUTHSHIRE.GOV.UK IF YOU WOULD LIKE TO GET IN TOUCH.